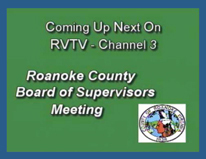 Board of Supervisors Meeting are streamed online. compatible with iPad or iPhone. Please bookmark this new location for future reference. Regular Board of Supervisors meetings are held the second and fourth Tuesdays at 3:00 p.m., with public hearings or evening meetings generally held at 7:00 p.m., unless otherwise advertised. To download a current agenda in PDF format, please visit our Agendas and Minutes page. For a complete listing of meeting dates, visit our Meeting Schedule page. please contact the Clerk to the Board of Supervisors at (540) 772-2005. Copies of Board of Supervisors meetings can be requested by contacting the Clerk to the Board of Supervisors at (540) 772-2005.